Unsurprisingly, with the rise of legalized marijuana usage, so comes legalized marijuana cultivation. The problem at hand arises from the lack of federal regulation of the cultivation of marijuana and the industry’s use of pesticides. Currently, many commercial growers use pesticides to control bugs and mold, but these pesticides are not registered with the U.S. Environmental Protection Agency (EPA). As such, the power and burden to regulate falls almost completely on the states, which have all adopted similar regulations. Oregon’s pesticide restrictions are centered around the Oregon Department of Agriculture’s (ODA) cannabis and pesticide guidelist, prohibiting the use of any pesticides on the guidelist for cannabis cultivation and mandating that pesticides on the list be used according to their label. This guidelist simply compiles a list of pesticides that are “intended for unspecified food products, exempt from a tolerance, [and] considered low risk.” The pesticides are not additionally vetted for cannabis specifically as, “[t]he intent of the list is to assist growers in distinguishing those pesticide products whose labels do not legally prohibit use on cannabis from those that clearly do not allow use.” This similar language is used by Washington, Nevada, Colorado, and California. As such, the pesticides that are allowed, are permitted solely because the restriction on their use do not explicitly bar marijuana cultivation. There is no additional testing to determine the health or environmental effects of these pesticides in the context of marijuana cultivation, leaving significant potential risk of harm. Additionally, while none of these states ban the use of pesticides, they do not endorse nor recommend the use of pesticides on their guidelists. The choice of the pesticides from the guidelist is left up to the cultivators. These states also provide an allowance for EPA registered pesticides that are not exempt from state registration or tolerance requirements. Currently, the federal government and the EPA allow for one method of registering pesticides for use in cannabis cultivation under the Federal Insecticide, Fungicide, and Rodenticide (FIFRA) § 24(c). A § 24(c) registration is also known as the Special Local Needs (SLN) program, allowing states to register a pesticide that is already registered for another use. 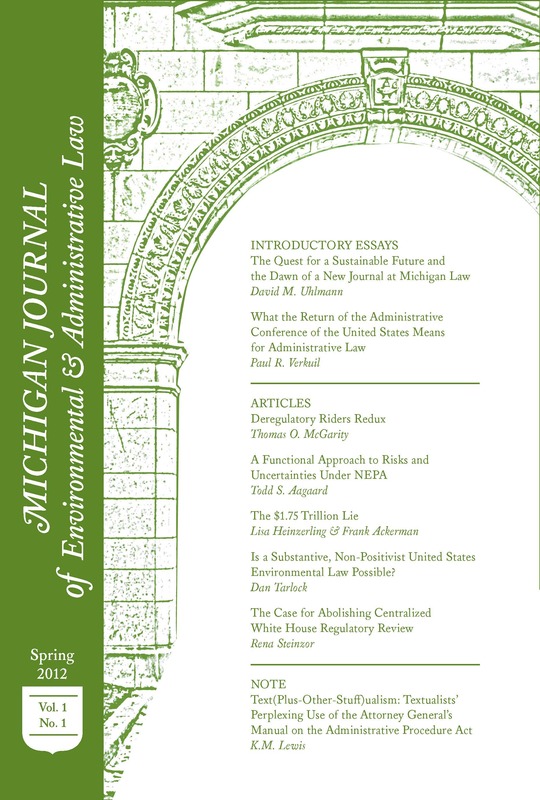 § 24(c) requires that the registering state is responsible for, “identifying a federally registered pesticide with similar use(s) and relying on the agency’s most recent fist assessments showing that the pesticide meets no ‘unreasonable adverse effects on the environment.’” Furthermore, the EPA issued a guidance stating that if there does not exist a pesticide with a similar use to the proposed SLN use, then the State has the burden of performing an assessment of the pesticide to support the registration. As such, the assessment and investigation of SLN pesticide’s potential environmental impact relies heavily on analogizing between other similar uses, and falls primarily on the states and not the federal government. This leads to a less thorough investigation, because independent studies on cannabis are not necessarily required. There could be unforeseen negative consequences even when using a pesticide that has been approved for use on similar plants, such as tobacco. Placing the burden of the harm assessments on the states could also deter registrations, since states will have to use their own resources into preparing the registration application. While the SLN registration has been open for cannabis since 2015, the EPA still has yet to receive an application for this use. While there is a federal pesticide registration process, states are not incentivized to use § 24(c) registration, and the registration requirements can leave holes in the harm assessment. States instead have chosen an easier route: simply allowing people to use pesticides that are not specifically, legally prohibited for use on cannabis plants. However, this approach does not require any assessment of the pesticide’s interactions with cannabis. This lack of pesticide regulation in the face of the growing marijuana industry will lead to larger problems, incentivizing cultivators to use stronger and unregulated pesticides. Soon, states or the federal government will have to decide who is to take charge of problem. *Victoria Leung is an Associate Editor and Junior Editor Coordinator on MJEAL. She can be reached at vpleung@umich.edu. Beau Kilmer, The Legal Marijuana Middle Ground: Column, USA Today (Nov. 30, 2016, 6:00AM), http://www.usatoday.com/story/opinion/2016/11/30/marijuana-legalize-states-medical-recreational-column/94553192/. DEA Announces Actions Related to Marijuana and Industrial Hemp, US Drug Enforcement Agency (Aug. 11, 2016), https://www.dea.gov/divisions/hq/2016/hq081116.shtml. Memorandum from James M. Cole, Deputy Attorney General, to all United States Attorneys 3 (Aug. 29, 2013), https://www.justice.gov/iso/opa/resources/3052013829132756857467.pdf. Guidance Letter, State of Oregon, Cannabis Pesticides Letter 1 (Nov. 21, 2016), https://www.oregon.gov/ODA/shared/Documents/Publications/PesticidesPARC/CannabisPesticidesLetter.pdf. Cannabis and Pesticides, Oregon.gov, http://www.oregon.gov/ODA/programs/Pesticides/Pages/CannabisPesticides.aspx (last visited on Mar. 5, 2017). Pesticide and Fertilizer Use on Marijuana in Washington, Washington State Dept of Agriculture (Feb. 8, 2017), http://agr.wa.gov/pestfert/pesticides/pesticideuseonmarijuana.aspx. Pesticide Use on Medical Marijuana, State of Nevada Dept of Agriculture, http://agri.nv.gov/Plant/Environmental_Services/Pesticide_Use_on_Medical_Marijuana/ (last visited Mar. 5, 2017). Pesticide Use in Cannabis Production Information, Colorado Dept of Agriculture, https://www.colorado.gov/pacific/agplants/pesticide-use-cannabis-production-information (last visited Mar. 5, 2017). Factsheet, California Dept of Pesticide Regulation, Pesticide Use on Marijuana, http://www.waterboards.ca.gov/water_issues/programs/enforcement/docs/cannabis_enfrcmnt/pesticide_use_on_marijuana.pdf (last visited Mar. 5, 2017). See, e.g., Pesticide Use, Colorado, supra note 10. Pesticide Use on Marijuana, US EPA (Jan. 27, 2016), https://www.epa.gov/pesticide-registration/pesticide-use-marijuana. Letter from Jack E. Housenger, Office of Pesticide Program, EPA, to Mitchell Yergert, Director, Division of Plant Industry, Colorado Dep of Agriculture (May 19, 2015), https://www.epa.gov/sites/production/files/2016-01/documents/epa_letter_to_cda_5-19-15_slns_for_marijuana.pdf. See, e.g., Brooke Borel, The Wild West of Marijuana Pesticides, Atlantic (Aug. 31, 2015), https://www.theatlantic.com/health/archive/2015/08/pot-marijuana-pesticide-legalization/401771/ (low-tolerance [state approved] pesticides are not strong enough to deal with pest problems, and so growers have been turning to stronger unapproved pesticides); Luke Runyon, Concern Grows Over Unregulated Pesticide Use Among Marijuana Growers, NPR (June 17, 2015, 5:02AM), http://www.npr.org/2015/06/17/413429435/growing-concern-over-unregulated-pesticide-use-among-marijuana-growers (confusion about pesticides leads to use of unsafe pesticides use); Winston Ross, Going Green: Pot Growers’ Worries About Pesticide Use Bloom, Newsweek (May 1, 2016, 6:18PM), http://www.newsweek.com/pot-growers-worry-pesticide-use-454467 (there is no way for cannabis to be labeled organic for consumers because it is not federally regulated, even as demand grows); Judy Woodruff, Are Marijuana Growers Sucking California Dry?, PBS: Newshour (June 9, 2015, 6:25PM), http://www.pbs.org/newshour/bb/marijuana-growers-sucking-california-dry/ (growers could ruin streams with pesticide runoff).